Brief Bio: Paul studies quantitative sociological criminology and the sociology of the criminal justice system. 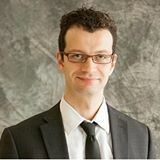 He is the coordinator of the criminology program and the academic director of the Research Data Centre (RDC) at Western University. He is also a member of the Centre for Population, Aging, and Health at Western. His recent studies include the adaptation of inmates with military background to life in prison, the quantification of police performance across nations, and the differential impact of incarceration on the risks of early death for women and men.